Back in the days my husband and I used to eat at iHop a lot. Almost every Saturday or Sunday we would go there for a breakfast and I would have a huge stack of pancakes, always a different flavor or whatever new they were having that time. One day while I was pregnant with our No. 2, as usual, we went to our local iHop for breakfast and we haven’t been there since. I have no idea if they have changed something or because of my pregnancy I was more sensitive but I hated the food there that day. On that day my love affair to their pancakes has vanished. For good! Instead I’ve started making my own pancakes. For a while I had struggle finding a good, fluffy and flavorful batter. 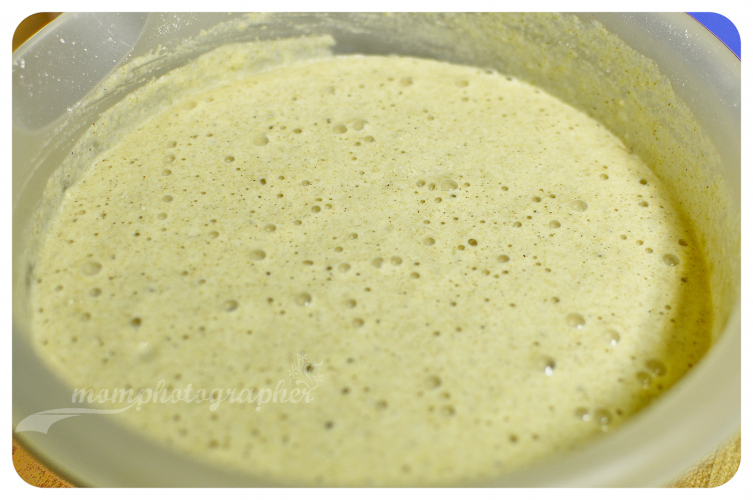 Finally I found this recipe for buttermilk pancakes and I’ve used the batter for all kinds of pancakes since. It has never failed. Mix dry ingredients and wet in two separate bowls. Then mix everything together and let it sit for about 10 minutes. Pour about 1/4 cup of batter for each pancake on hot skillet. 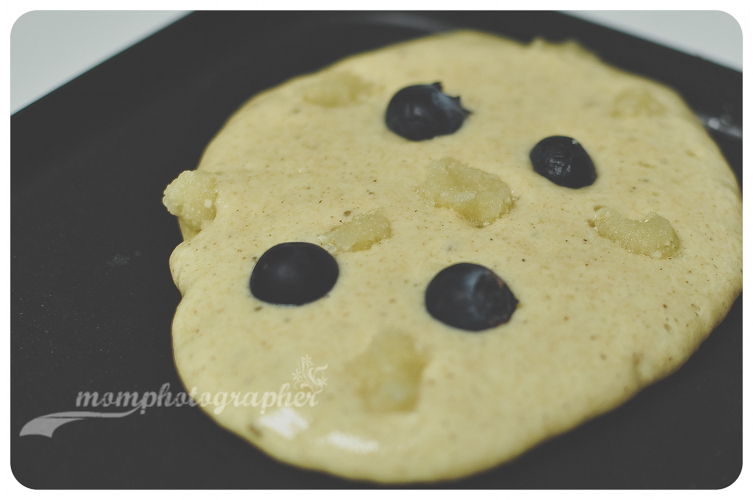 Immediately top each pancake with a few blueberries and small pieces of marzipan paste. Fry until the top is bubbly. Flip over and fry for additional minute or until nice and brown. My husband eats them with maple syrup. 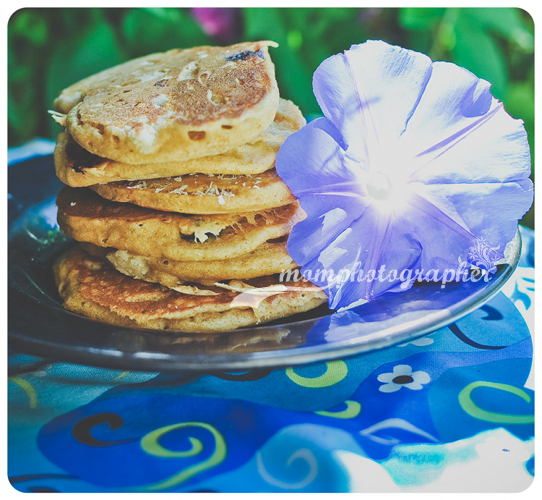 For me, with all the flavors going on just inside those pancakes, plain are all what I need. The marzipan is such a nice addition. It just pops out when you eat those pancakes. Of course you need to like marzipan in order to enjoy them like I do. My husband being not the biggest fan of marzipan likes it hidden like that although he prefers banana-blueberry pancakes. 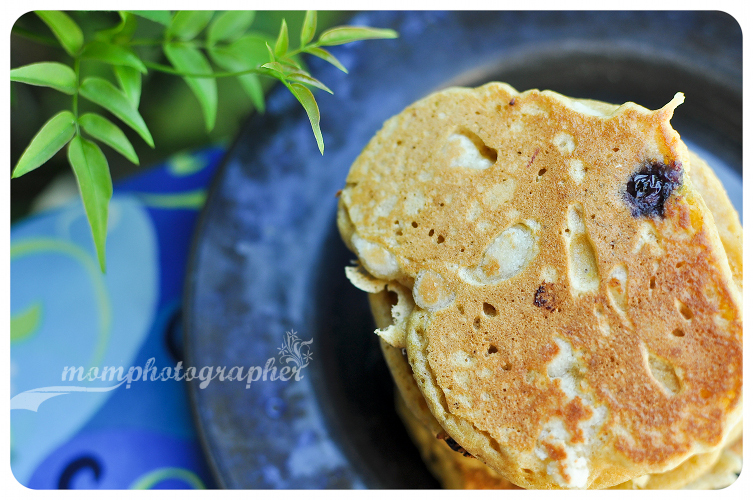 I just love the idea of adding marzipan to pancakes 🙂 Especially paired with blueberries. YUM! Mmmmm, I wish I could cook and bake like you can. It all looks so delicious and professional! 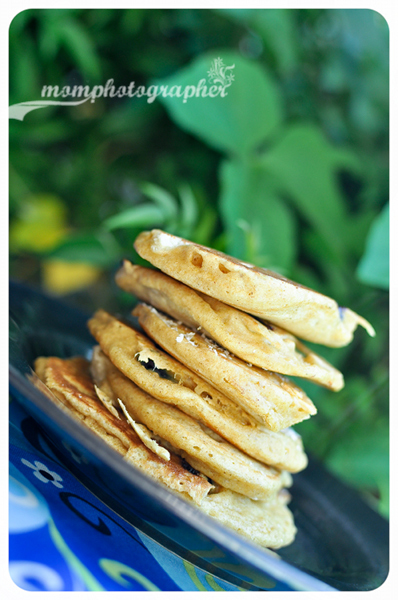 I’ve never incorporated marzipan into pancakes before – what a wonderful idea! Yours look fabulous! thanks for reminding me about your link – up !!! 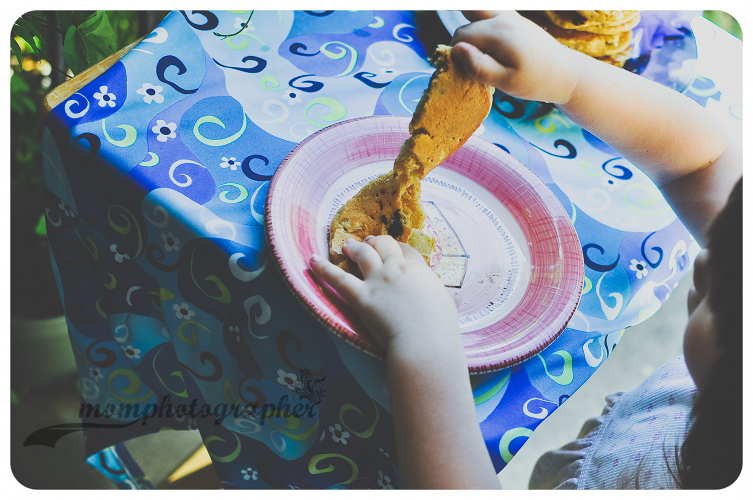 I love the bokeh in the last photo! I too used to eat a lot in iHop too but my desire to eat there vanished somehow. I am so happy to see you linked up to Food Linky again. Thank you! Hi Mira!!! Really enjoyed you post about the texture! as for eating at ihop all the sudden their food has become so greasy and heavy… yuck!!! thank you! they are really good! I make them quite often and my family loves them. not always with marzipan, though. they are pretty good with bananas !!! Great recipe! I’m not familiar with marzipan, but I would to try your pancakes. Thanks so much for stopping by my blog as well! Have a great weekend! 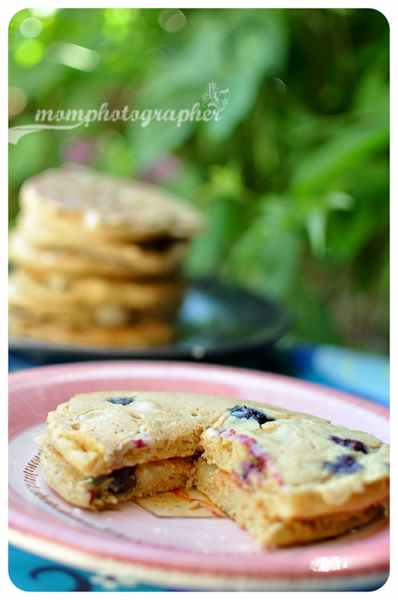 I have been looking for a new and healthier pancake recipe! YUM! What an interesting idea to use marzipan – where did you discover that idea?